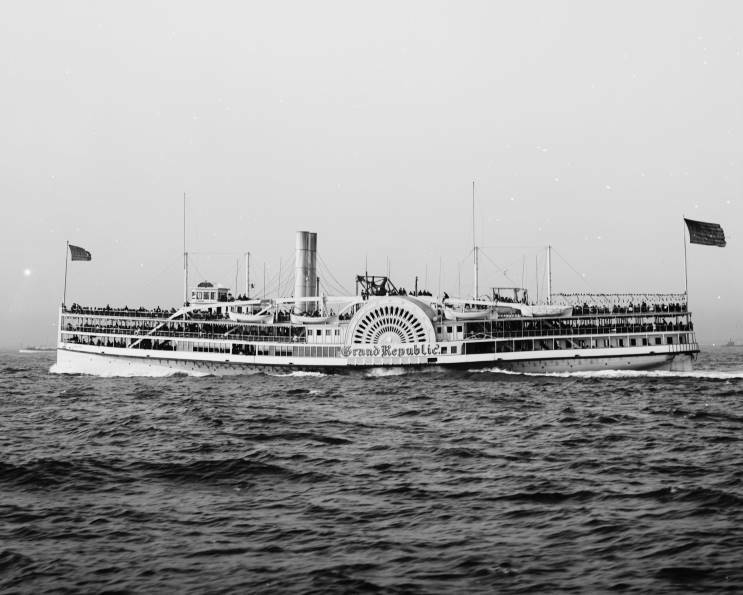 October 3, 1899: Grand Republic seen in New York during the 10th America's Cup Race. 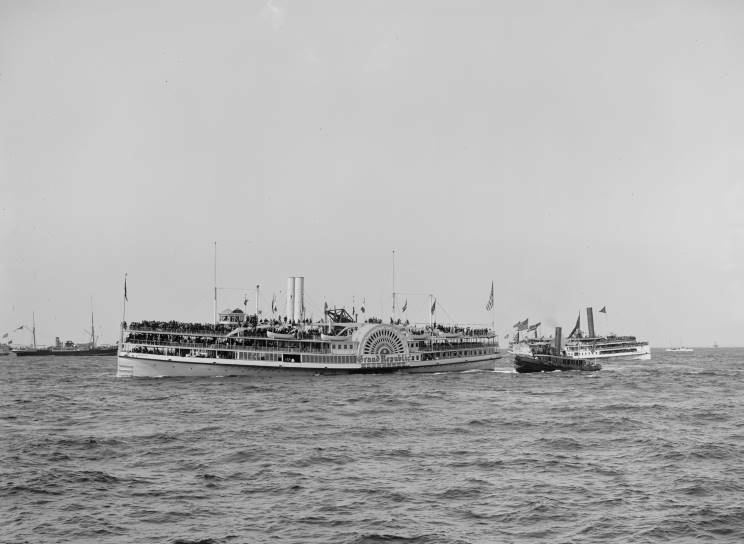 The sidewheelers Republic and Block Island are seen in the background. 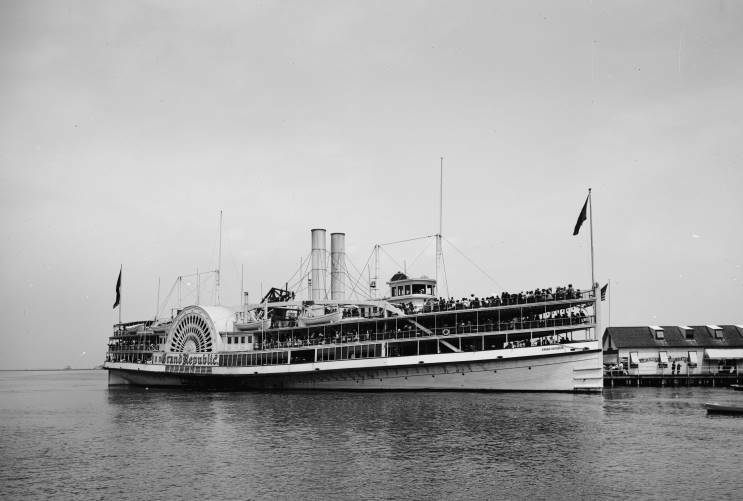 Grand Republic seen off New York in the early 1900's. Grand Republic seen at Rockaway, New York.